The London Design museum has teamed with my favourite brand, Swarovski for a new exhibition. The show is a collaboration of light, crystals and digital technology featuring exciting new talents such as Ron Arad, Yves Behar, Maarten Baas and Paul Cocksedge. They explore the relationships between the digital age and intangible things and the idea of establishing new connections within this ever changing dynamic. The artists experiment with LEDs, laser lights, mirrors, light painting, intangible holograms and off course Swarovski crystals within the works. 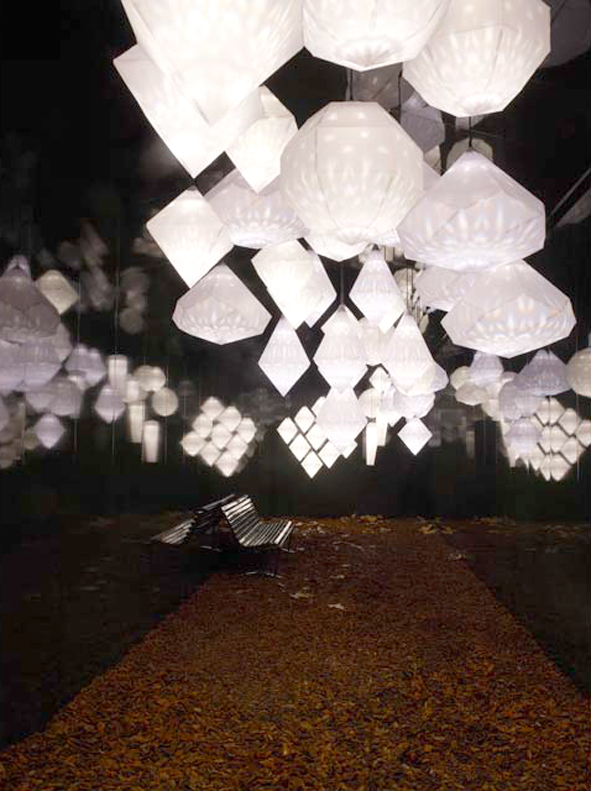 Yves Béhar’s Amplify Chandelier, (above) commissioned in 2010, takes a single crystal amplified within a paper lantern to create a digital pattern, a repeated form, each one different from the next. The exhibition, "Digital Crystal" opens today, 5 September until 13 January.